Home / Why Inclusion is Easy When You are Raised by Hippies…Diversity Not So Much? 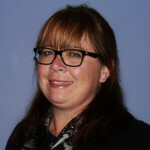 Hope Lovell is Assistant to the Executive Director at the Downtown Mission of Windsor. Working with the management team Hope is inspired by the tangible difference the Mission is able to make in the lives of the impoverished of her community. She is driven to help the Mission team succeed in continuing to be able to provide and expand the services available to those in need. I was raised by hippies…I don’t know if they thought of themselves that way but that’s what they were. We didn’t go to parks to play – we went to folk festivals. We didn’t have rules so much as opportunities to make mistakes and learn from them. Music was a vital part of our daily lives – Kat Stevens, Joan Baez and of course Bob Dylan. Music said everything – peace, love, acceptance, power – you name it, the theme was there. Not religious, my parents came from two very diverse backgrounds. My father was the son of a single Protestant Irish lady with very defined ideas about everyone and everything, not the least of which Catholics. My mother was in foster care her entire life and had no real religion nor ethnicity she was aware of. Her parentage was a mystery which in many ways helped to shape the way she would raise her children. If you don’t know where you came from how could you possibly hold opinions or bigotries towards other ethnicities, religions, customs etc.? I think given my father’s complete lack of acceptance of my grandmother’s views and my mother’s urge to carve out a different lifestyle for her future family led them out of Toronto to settle four hours away in a small rural community of Blytheswood to begin their own personal little commune. 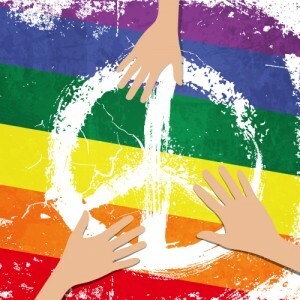 Inclusion for hippies is an extremely simple concept – we are all equal. That’s it. There is nothing more to be said. I was raised to believe that every human being on earth was created equal and should be treated as such. In my daily life this concept was as certain as the sun will rise in the morning and set in the evening. When we faced attitudes that differed from this my parents each responded in their own way. My mother, less boisterous, simply shook her head and would look you in the eye and communicate with her children in a way that only parents and their children understand. That look said “not true…unfair…wrong” and we understood. My father took a different tact – he was ready to change the world one person at a time. He’d debate and sometimes argue; this was never comfortable and I always wished I could disappear when his opinion became louder and less accepted. Right or wrong this is how it was and until recently I hadn’t given this any thought at all. I am the product of my parents. I continue to believe all humans are created equal and have raised my children to believe the same thing. As an adult I think that I have become a mixture of my mom and dad, I don’t look for the battle but don’t shy away from it. I believe strongly in equality for all and morally feel that it is my duty to ensure I am doing my part to speak for those who are not there to speak for themselves. Recently the subject of diversity has been the focus of my attention. I will admit that the concept of diversity was difficult to wrap my head around. I had never truly considered the concept of diversity nor its importance. Was it not enough to have an inclusive nature and act on that principle? By treating everyone as equals is there a need to promote and recognize diversity? Doesn’t peace, love and kumbaya cover it? No. It doesn’t, nor should it. Without realizing it I have raised my children to understand diversity – beginning with the simple concept of trying new foods and leading to the more important matters of understanding that some friends have two moms and why one of them is not now nor ever will be the “dad”, understanding how our neighbours do not celebrate Christmas and have amazing Ramadan celebrations that we can enjoy with our friends. How sad it is that a classmate is attempting to convince a classroom full of children that she is not Lebanese but Italian and certainly not Muslim – that her religion or culture is something she should feel the need to hide is a travesty and what can you do to help her – that may include also just offering quiet support like grandma when both of my kids are a bit more like their papa. So this hippie kid, fairly spot on with inclusion – questioning whether I understood the need for diversity – maybe knew a bit more than I gave myself credit for. Upon reflection I now understand that diversity is now and always has been something that I have raised my children to champion and it has given them a broader understanding of the world, opened them to more experiences and is making them better human beings. Mom and dad had it right, and so did Bob Dylan for that matter. The process of putting my thoughts on paper about diversity brought me to this quote by Dylan: “I define nothing…I take each thing as it is, without prior rules about what it should be.” – I concur Mr. Dylan, you were a many ahead of your time. Diversity in the fundraising industry and specific to volunteering and staffing at our organization is simply an extenuation of the same type of positivity that we derive from diversity in our personal lives. Policies need to be written and followed – very un-hippie like I must say but I think mom and dad will understand. We need to be trained and the information that we learn applied to what we do and how we do it. We are as an industry setting the wheels in motion and there is a lot of legwork needed. In the words of that groovy chick Joan Baez – “As long as one keeps searching, the answer will come.” So let’s continue searching, developing and improving diversity and inclusion in our personal lives, organizations and the industry as a whole as it makes us…better. So to mom and dad – peace, love and all that groovy jazz I guess we weren’t just “blowin’ in the wind” we were learning a lot on that VW bus road trip of life.